We are excited to introduce to you our Orthodontist, Dr. Sholeh Roghani. Dr. Sholeh is the sister of our current pediatric dentist, Dr. Shiva Roghani. Dr. Sholeh attended San Diego State University for her pre-dental program followed by UCLA School of Dentistry to receive her dental training. She graduated from UCLA in 1993 and was awarded her Doctor of Dental Surgery degree (D.D.S). Upon graduation from UCLA dental school, she moved to Boston to attend the prestigious orthodontic program at Boston University, and graduated in 1996. 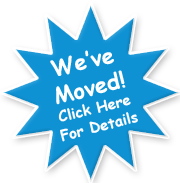 She moved to Orange County in 1998 and has been practicing orthodontics in Orange County for the last 16 years. Dr. Sholeh has enjoyed treating thousands of children and adults and enjoyed seeing the results of every single beautiful smile and happy face. Dr. Sholeh's passion for orthodontics and patient care has been recognized by her instructors, mentors, patients, and peers. She has been the recipient of numerous professional awards of excellence and achievements. 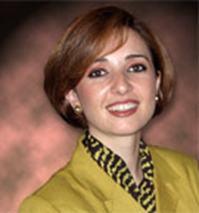 Dr. Sholeh is committed to perfection and excellence and her track record is proof of that. She enjoys being able to provide a high level of personalized service, while creating long-lasting personal relationships. "My goal is to treat every one of my patients so well, that they leave with a happy smile, and recommend us to all their friends and family." In her free time, she enjoys spending time with her family, cheering for her son's soccer team, painting, and traveling. She is currently an active member of the American Association of Orthodontists, California Association of Orthodontics and Pacific Coast Society of Orthodontics. All of us at Aliso Kids Dental are very excited to have such an incredible orthodontist as part of our fantastic team!